Working in a new style today. Partially successful and partially not. But overall, I’m happy to have learned something new. 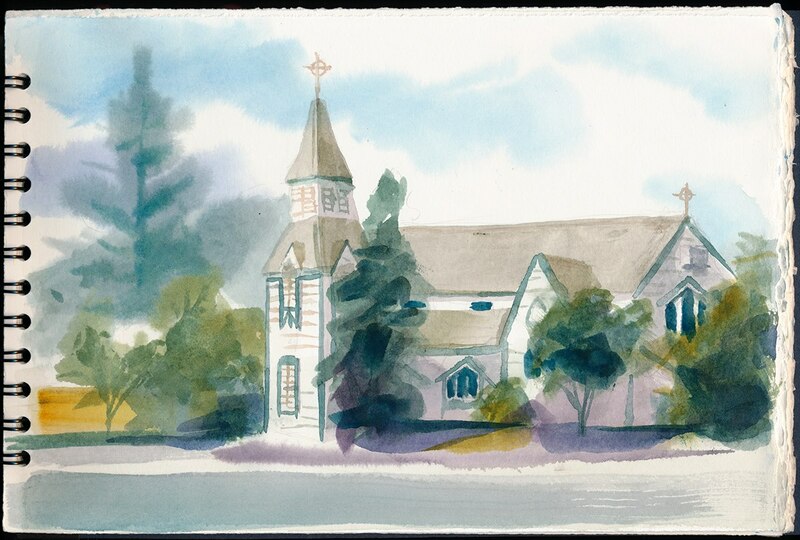 This watercolor sketch is of an Episcopal Church on Broad Street here in Cloverdale. June 7, 2017 Richard SheppardComments are off for this post.